DemoCurmudgeon: "Two Face" Walker greets Obama with a smile and handshake, then Tweets Obama Slime! Chuck Todd says Dems want to face Walker. "Two Face" Walker greets Obama with a smile and handshake, then Tweets Obama Slime! Chuck Todd says Dems want to face Walker. Scott Walker seemed so...un-world leader like. It's small insecure men like Scott Walker who wait until someones back is turned before they gather up enough courage to stab a person in back with petty verbal attacks and outright lies. Gov. Scott Walker warmly welcomed him with applause, a friendly smile and some laughing banter. Walker spent the rest of the day essentially trolling the president on social media. First, he published a column on the Web site of Real Clear Politics under this headline: "Welcome to Wisconsin, Mr. President," and then fired off a series of anti-Obama tweets. Scott Walker catches criticism from conservatives for Unintimidated PAC's hire of adviser: The Unintimidated PAC, set up by former Walker campaign staffers, announced on Tuesday that Brad Dayspring would join the team as a senior adviser. 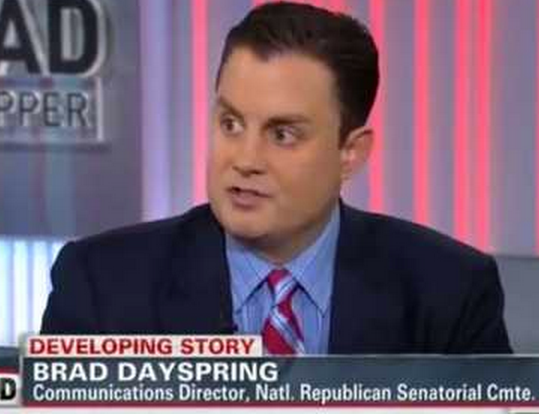 Dayspring, a former communications director for the National Republican Senatorial Committee, has ruffled the feathers of more than a few conservatives. The news of his hiring led some to openly question Walker's judgment, even though the governor has no official role with the PAC. "Gov. Walker should have known better than to hire Brad Dayspring, the worst GOP anti-conservative hit man in Washington," said Brent Bozell, the conservative chairman of ForAmerica and president of the Media Research Center. 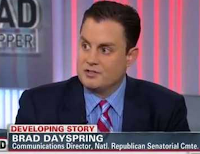 "Brad Dayspring has a despicable record using character assassination to besmirch the reputations of conservative candidates and public policy leaders. He’s paid to do the ugly work of the Washington establishment. He is the personification of everything that’s wrong in politics today. Gov. Walker, people are policy. If you want conservatives’ support, you need to get rid of this cretin immediately." In 2012, Politico described him as "one of the House Republican Conference’s savviest and most controversial operatives," In his role as NRSC spokesman, Dayspring drew the ire of Democrats for calling Democratic U.S. Senate candidate Alison Lundergan Grimes "an empty dress" and comparing her to a high school freshman. Dayspring said Lundergan Grimes parroted talking points, babbled incoherently and stared blankly into the camera when asked questions. The same year, Rep. Tom Cotton, an Arkansas Republican, broke from the NSRC to denounce comments Dayspring had made about Cotton's opponent, Sen. Mark Pryor's faith. Cotton called an email Dayspring sent ripping Pryor for statements he'd made about his faith "incredibly bizarre and offensive." 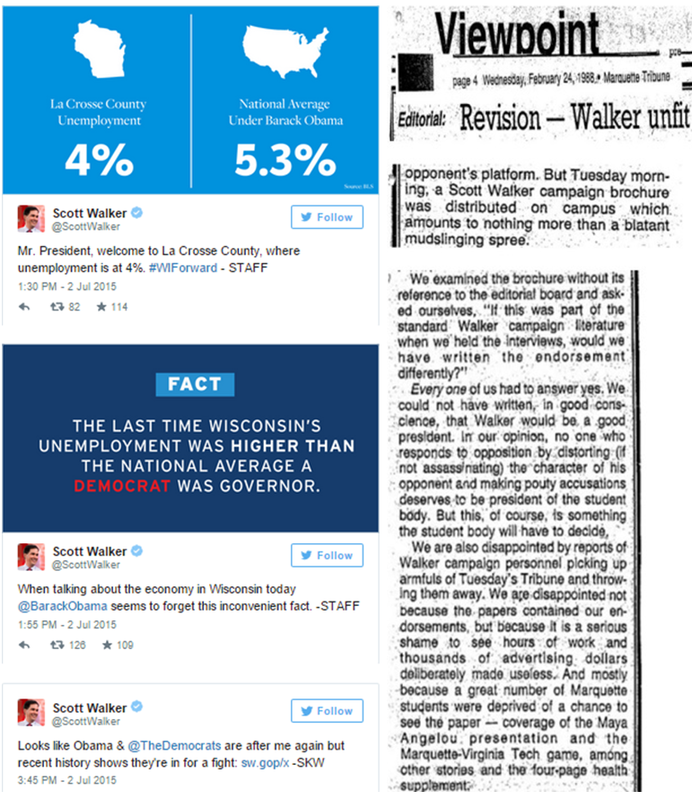 A writer for the conservative site, RedState, went after Walker for his newly established Dayspring ties. "Scott Walker just dropped off my list of acceptable candidates," wrote RedState writer Streiff. "I like a lot about Governor Walker but people are policy. And his decision to hire Brad Dayspring, an unprincipled political operative who combines viciousness and incompetence in equal measures tells us a lot." John Hawkins, owner of Right Wing News, tweeted, "For @ScottWalker to hire someone like Brad Dayspring is a slap in the face to grassroots conservatives. It speaks poorly of his character."